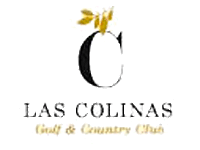 Las Colinas was designed by American architect Cabell Robinson who did a good job in creating an interesting course as the centerpiece of a resort focused on moving upscale real estate. Chic clubhouse. The landscape is perfect for golf with ups, downs and enough room for large greens and fairly wide fairways. Too bad the green-to-tee distance is artificially stretched out: it means virtually nobody walks. Nur Cart, Wege zwischen Green und zum nächsten Tee zu lang. Showplatz, ab Hdcp 22 erst spielbar. Greens schnell, Anlage gepflegt.